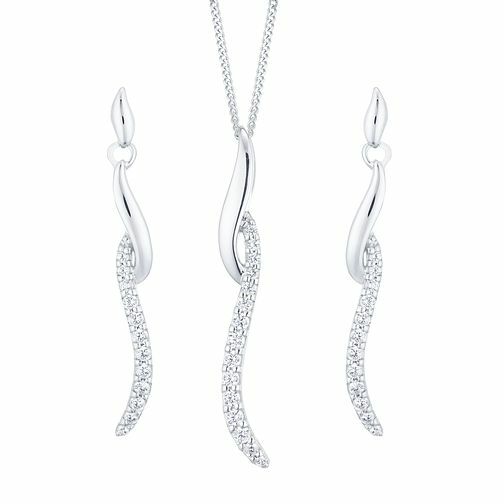 Crafted in fresh 9ct white gold, this elegant pendant and earring set is styled with a sleek, contemporary design. The chain is set with a sleek wave pendant embellished with glittering cubic zirconia. Complemented with matching earrings, this set makes the perfect gift.